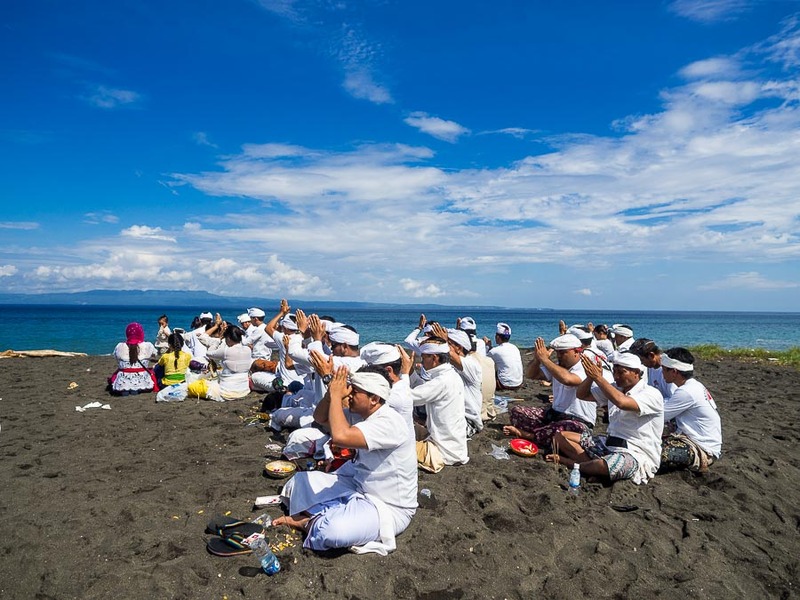 Hindus pray on the beach near Kusamaba in Bali. I'm in Bali for about 10 days covering a couple of mass cremations and temple ceremonies. This will be my second time on Bali. 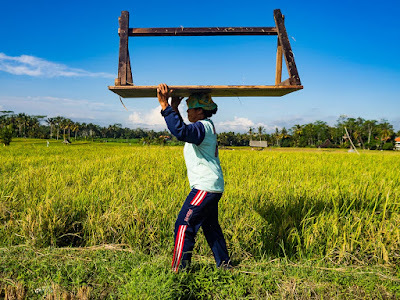 Bali is often called an island paradise. There's a reason for that. It's breathtakingly beautiful. The greens, like in the rice paddies, are greener. The blues in the skies are bluer and the white sands on the beach are whiter. A worker in a rice paddy carries a threshing table on her head while she walks through the paddies. The ceremonies are picturesque, the people are warm. It's a wonderful place to spend time. I will be making post dated entries to my blog when I get back to Bangkok. A dancer performs at a ceremony in Ubud. 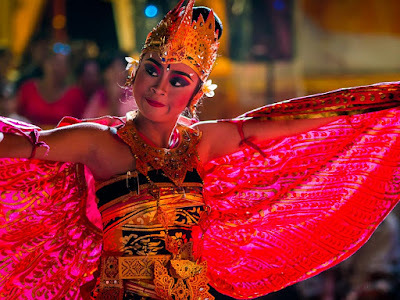 There are a lot of photos of Bali in my archive.